Now that you’ve had a chance to see how “the experts” demonstrate their process, while leading you down paths of confusion…let me show you a demonstration and instructions that go down to the procedure level. This video demonstration, and the instructions that come with it, While the instructions aren’t as detailed as the video (usually it’s the other way around), if you follow exactly what he’s doing in the video, you will get the same results he did. In many cases, that is not what happens because the omissions of the obvious and oblivious change the outcome. Come to think of it, that is an excellent mantra to use in all your process efforts. Before getting into the video I would like to acknowledge the demonstrator, Raymond @ TheArtOfCooking.org. 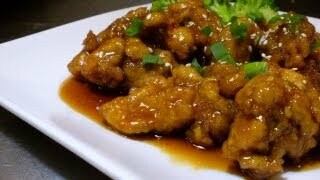 This site provides video demonstrations on how to cook a number of Chinese, Chinese-American and Japanese dishes. Their video quality is excellent and I highly recommend their demonstrations for increasing your cooking chops. Now even with this, more detailed demonstration, you will definitely see there are some tools and appliances that are used which not everyone would have. These are non-standard cookware and appliances which might lead you, as the student-cook to say, “ok, I don’t have those things, now what do I do?” If there is a point where this video loses it’s usefulness, it is in using non-standard cookware and appliances, but not addressing if/how standard cookware and appliances could be used, so that individuals who don’t have those tools are left to determine how to substitute for these items. If it is a requirement to have a separate open flame burner in order to make this dish, that would be a non-starter for many who are interested. All that being said, the demonstration is a good example of demonstrating procedure (as opposed to process, like Paula Dean and The Neelys). When we get into procedure, then the whole picture comes together. A well written out, or filmed, procedure will take you from start to finish with no gaps in the middle. A process, even at it’s most detailed, will generally have some holes, some sub-processes, and some specifics left out, this is where a well-written procedure document must fill in the gaps. Without that you invite complications, mistakes, failures, and confusion into executing on your process.